There are 351 guests and 1 registered user on-line. A special friend of mine who will take you on a journey through her art and writing on the light and dark sides of life. No intro needed here, we all know and love Johnny! Paul Burke, " Journey Home "
Here's a Great New Book written by Brother Paul Burke,called 'Journey Home', check out his MySpace page for more info and pick it up!!!! When I started to read it, I couldent put it down!!!!!! A Very Good Read!!!! Have a listen here! 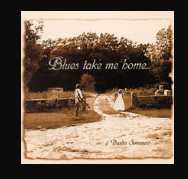 Fantastic guitarist who also plays on Dusty's Blues, Take me Home...CD! When Dusty's off the road...Pat, Lisa and the ladies at Tom's make sure he eats well!! !